Posts Tagged "Remembering John Sahag"
Home » Posts Tagged "Remembering John Sahag"
It is 12 years since John Sahag left us to do the hair of the angels (January 2, 1952-June15, 2005.) 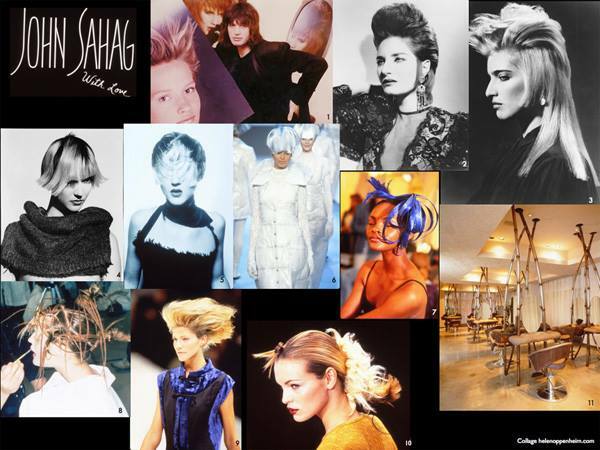 The Lebanese-born Australian-raised Armenian became famous in Paris as the first internationally-recognized freelance hairdresser. He worked his magic on the heads of the supermodels and superstars of his era and made The Dry Cut famous in his John Sahag Workshop on Madison Avenue in NYC from 1985, still active in 2017. This collage shows just some of his magic which made him so famous – with love. To read more about him, click HERE and to see more of amazing work, click HERE (and HERE and HERE) – then go to HairThen, John Sahag on this website for more. Read how-to’s, and lots of info under most photos, some like the décor album, under More on the Menu, a hoot, all informative. 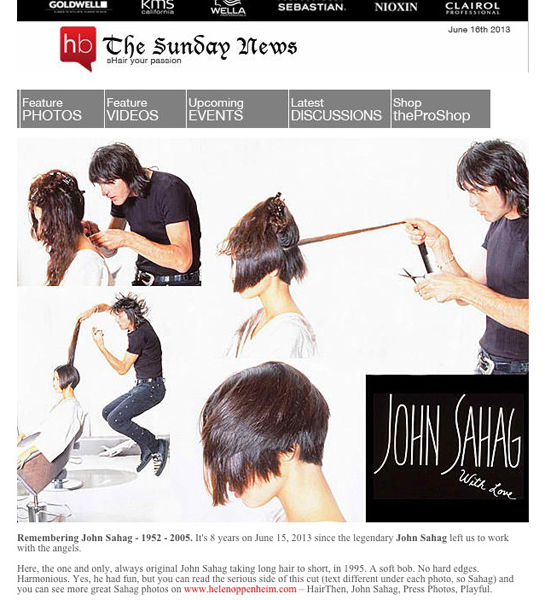 Thank you HB Sunday News for featuring this John Sahag Collage and making it first, and bigger than any other Sunday News Photo ever, on the 8th anniversary of his leaving us. The legendary John Sahag can be seen in action here cutting long hair to short as only he could in 1995. A soft bob. No hard edges. Harmonious. For a technical how-to go to HairThen, John Sahag Press Photos, Playful on helenoppenheim.com Great photos by David Webber. See all of the HB Sunday News. 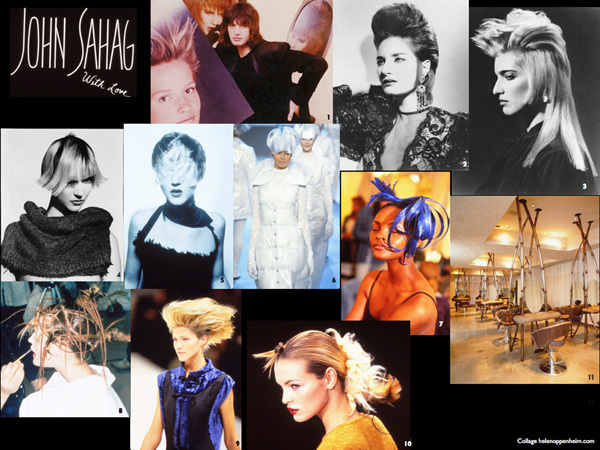 Remembering John Sahag (1952-2005) in HOT by Hair’s Now Mag. Thank you Jeryl Spear.